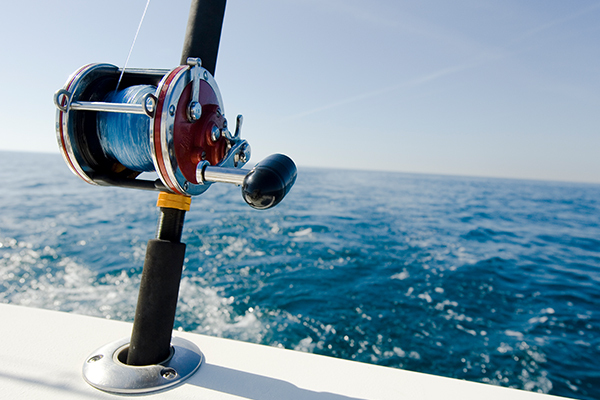 Whether you are a saltwater or freshwater angler, there are likely some trophy fish in the United States that you want to catch. These fish may be known for their speed, endurance or rarity. No matter what makes them special, the experts at FishingLicense.org want you to be ready for the challenge. Here is the team’s list of the most difficult fish to catch in the U.S.
Often considered the ultimate catch for any angler, the Blue Marlin is found in warm ocean waters. It is a large, strong fighter that does not give up easily. If you want to add this rare prize to your collection, you should be prepared mentally and physically. Patience is a must, and be sure to have the proper equipment. With Atlantic and Pacific varieties, sailfish dwell at the ocean’s bottom. This large member of the billfish family exhibits super speed and tends to fight after being hooked. According to the experts at FishingLicense.org, sailfish may leap and dive, attempting to break the line. Anglers should be patient, because sailfish can take several hours to reel in. Known as the king of tunas, this ocean-dwelling fish has size, speed and stamina on its side. The warm-blooded Pacific Bluefin Tuna is sometimes called the raging bull of the sea, and rightfully so. After being hooked, this powerful giant often dives and pulls, so catching one takes strength and determination. Often called the Muskie, this elusive freshwater fish is native to North America. According to the team at FishingLicense.org, the Muskie is a tough catch because of its unique feeding pattern; it doesn’t eat until its previous meal has been digested. This weighty creature is a member of the pike family and, like many trophy fish, it will not be caught without a fight. Found in warm Pacific waters, the Giant Trevally is another large fish with seemingly endless stamina. It is sometimes simply called the GT, but this monster is not simple to catch. Anglers accepting this challenge should have endurance to match the Giant Trevally, because it will fight and thrash until the end. Making its home in the tropical and subtropical waters of the Atlantic Ocean, the tarpon boasts a shiny exterior and a bony mouth. This silvery fish is perhaps best known for its acrobatics. The expert team at FishingLicense.org reports that the tarpon can leap as high as 10 feet in the air, sometimes jumping into anglers’ boats. With its elongated body, the wahoo is a speedster that lives in warm ocean waters. A member of the mackerel family, this purple-striped creature can reach speeds up to 50 miles per hour, earning its title of a torpedo with wings. According to the experts at FishingLicense.org, the wahoo often lives in areas near reefs and wrecks where there is an abundance of smaller fish. This sturdy, fast fish lives in tropical and temperate Atlantic waters, including the Gulf of Mexico area near oil rigs. After accepting your bait, like tuna, the amberjack often dives deeply in an attempt to head for home. Anglers should be prepared to feel arm pain as they reel in the Amberjack, but the reward will be worth the discomfort. Located in temperate and tropical ocean waters, the swordfish sports a broad bill and rigid dorsal and pectoral fins. This finicky, predatory being dwells in deep water, but it often swims to the surface when hunting. Its stamina, ranked the best of any fish in the world, makes the swordfish a prized catch.